I have share an insight about an important date, August 15th, 2015. A time where Costa Rica honours all Mamá. There was a significant event that guided me to write this post. Feliz día de la Madre! By: Sherry Ing, GEO International Internship Costa Rica Summer 2015 participant. 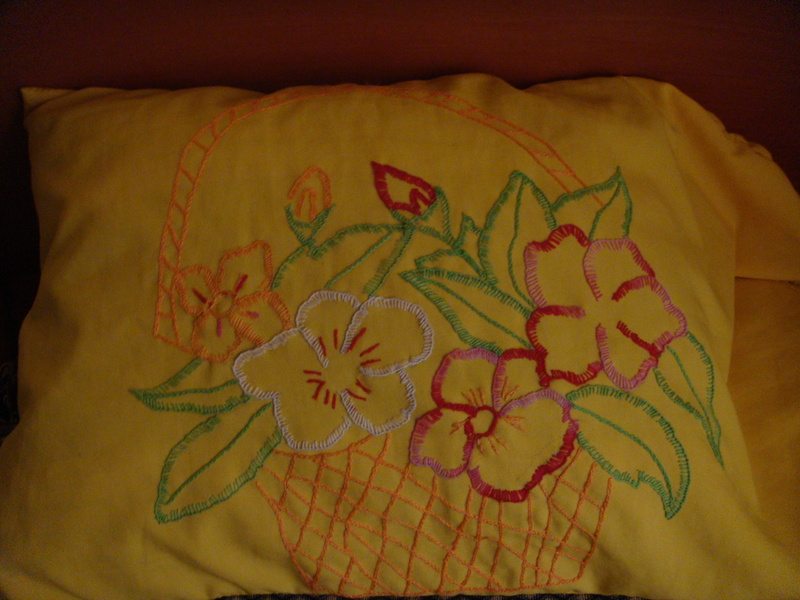 My host mom’s embroidery stitch work. She had planted beautiful roses and fragrant flowers in her home. She loves flowers. On August 15th, 2015, Costa Rica celebrates Mother’s Day. I like to take this time to blog about this important date. To all the Mothers out there, and members of society who had to take on the Mother role for whatever reason they have. Feliz día de la Madre! When I was in Costa Rica just one week from today, the children at the two elementary schools that I worked at made Mother’s Day card. I had the duty of helping the children with the upcoming English Festival and Spelling Bee. For their impromptu speech, the children had to write and talk about their family or favorite things. This also included their own drawings when they described a family member or their favorite thing. What I noticed is each child’s drawing. But one particular one stood out to me. It was one of the young boy’s family. He drew two male holding hands together. I later found out that he had lost his mother and it was only him and his dad. On this week, for most its a great time to share the joy and celebrate our moms together, but for others its sadness and a reminder and longing for Mom that they shared a short time period together. When I said goodbye to the children that I worked with, I made sure that they felt loved and cared for. I hugged each and everyone. With this said, it is important to hug. As a Massage Therapy student, hugging is just as important in healing then any other form of treatment. It is an alternative form of therapeutic touch. If everyone in the world received a hug each day, their health will be up a level. It is very therapeutic and the Science behind it is that we releases hormones, such as Endorphines. Which in turns gives us happiness. During my time in Costa Rica, my host mother role was very important. She made sure each of her son was feed, kissed each one on their forehead before they went out for their soccer game, and made sure everything is in order in the household. Para mamá. Feliz día de la Madre!